The Chennai Super Kings have been the most consistent side in the history of the Indian Premier League with three titles and four runners-up finish. They have qualified for the knockouts (playoffs) in all the nine editions they have played so far. From the inaugural IPL edition back in 2008 to the eleventh edition in 2018, several Indian, as well as overseas stars, have donned the famous Yellow jersey. 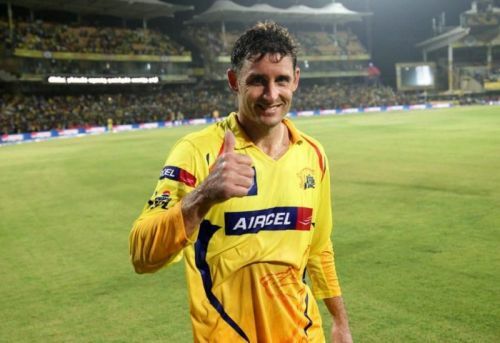 Let us now look at five players who excelled in the CSK jersey but failed to make a mark after a move away from the Chennai based franchise. The South African all-rounder was a part of the Chennai Super Kings right from the inaugural edition after being bought for $675,000 at the 2008 IPL auctions. Morkel stayed with MS Dhoni's men until the 2013 edition of the IPL and enjoyed a successful stint with them during his six-year stay scoring 827 runs while picking up 86 wickets. His cameos low down the order were crucial for the Men in Yellow, be it in scoring huge totals or setting challenging targets to the oppositions. An ideal T20 player and an experienced campaigner, Morkel was an integral part of the CSK squad during the most part of his stay at the franchise contributing with both bat and the ball. Apart from the two titles that the Chennai Super Kings won in 2010 and 2011, they finished as the runners-up thrice during his stint at Chennai. Morkel was the bought by the Royal Challengers Bangalore for INR 2.4 crore at the 2014 IPL auctions. After a poor stint at RCB (45 runs and 4 wickets in 2014 IPL), he was released ahead of the 2015 auction where he was bought by the Delhi Daredevils (now, Delhi Capitals) for INR 30 lakhs. Morkel scored just 86 runs and took three wickets during his one year stay with Delhi after which he was released. In the 2016 IPL, he played for the now-defunct Rising Pune Supergiant (one of the new franchises), managing just 16 runs and two wickets in the two matches he played throughout the season. Unfortunately, it turned out to be his last season.